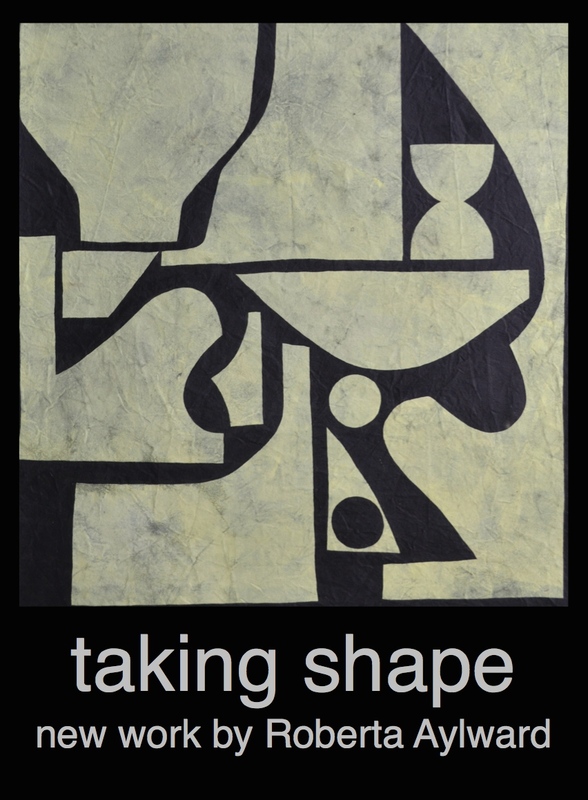 "Taking Shape: New Works by Roberta Aylward"
An exhibition of art presented by Red E Cafe Gallery in North Portland. Opening Reception: Friday, February 9 from 7-10 p.m. Throughout this work I use shapes to express and configure personal narratives into observable forms. My paintings, collage and paper assemblage are unified in a curiosity of how shapes hold meaning. My process begins with assigning shapes to various feelings, dreams and experiences. This visual vocabulary is scrutinized, altered and presented in the abstract, creating an opportunity for new meaning and definition to emerge. Experimentation is the backbone of my creative process. I traditionally use acrylic paint on paper or birch panel. For this work, newly introduced materials of canvas and brown kraft paper have been pivotal as they play multiple roles: as both the process and the final piece. Cut-out paper shapes, previously used as models in my paintings, now represent a reconfigured narrative on their own. Paintings on canvas hang without a substrate, taking stories of shape into a new landscape of form. I hope to see you at the opening reception!